This workshop will teach you all you need to know about setting up and running an effective youth mentoring programme! Start time - day one: The workshop will start at 9.30am to allow for people travelling from out of town. Finish time - day two: The workshop finishes at 4.00pm on Wednesday. The Rosepark Hotel offers special accommodation rates for people attending the workshop. Read more about this course and register online now. On behalf of the Youth Mentoring Network thank you to our many speakers who generously gave their time to present at the conference. the New Zealand Youth Mentoring Network's key priorities. seven sessions were rated excellent. Nathan Mikaere-Wallis aptly named session 'Bootcamps won't build a frontal cortex' was the most well-received session with a rating of 4.55 out of 5. Make it more affordable and accessible to grassroots organisations. 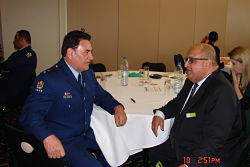 Feedback received indicates people are very supportive of role the NZ Youth Mentoring Network fulfils in the sector. In all instances the majority of respondents rated the four key priorities the Network has outlined for the next three years as 'very important' and either 'agreed or strongly agreed' with the 20 specific deliverables that full under the respective priority. Include the voice of youth in the delivery and implementation of any youth initiatives. Thank you for this valuable feedback. It is extremely useful input to our strategy plan, which we are currently updating and will share with the sector shortly.